a new BOY BAND sensation? after “THE SATURDAYS” pulled off a good start after debuting their first ever single at #8 in the UK singles charts, I think there’s a new BOY BAND in years that is finally worth listening to. The UK’s new export, “AVENUE” is a five piece boy band from England that made headlines when they got booted off from the popular talent show, “The X-Factor”. The boys where said to have previous recording deals and as the show’s rules imposed, they were disqualified. With their boyish charm and impenetrable attack to a new flavour of BOY-BAND pop. These guys can be at the top if given the chance. Their debut single titled “Last Goodbye” starts with a dance sample mix then incorporated with slow and electropop jams until the end which was at least convincing. The boy’s attitude towards performing is quite impressing and i’m pretty sure that LOTS of girls will fall in line just to get a glimpse of them while performing a showcase. The boys are now signed on ISLAND RECORDS UK recording label and they immediately started working to produce new music. Their single “Last Goodbye” will be released on September 8, 2008 in the UK. “Last Goodbye” provides us with a catchy, danceable anthem that’ll make an impression to the new age of Boy Band exports from the UK. 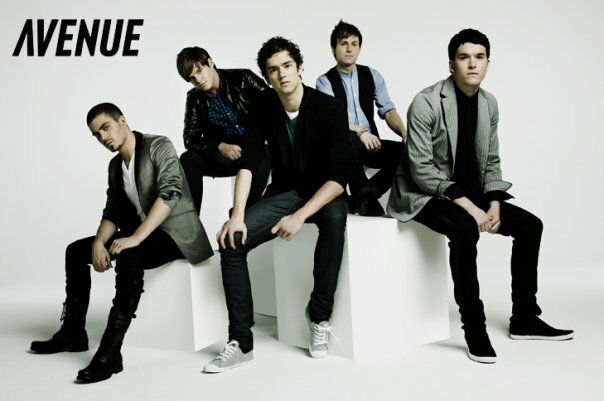 CREDITS: Avenue’s official MYSPACE account for the image. This entry was posted on August 4, 2008 at 6:52 am and is filed under music news, Single Reviews with tags Avenue, Boy Band, Last Goodbye, The Saturdays. You can follow any responses to this entry through the RSS 2.0 feed. You can leave a response, or trackback from your own site. They’re amazing! I saw them perform on one of their showcases at North London. I like this song a lot. Guys Yous Are Bloody Epic!